There are many factors to consider before renting out an office space for your business. With plenty of options to consider, and knowing that there are so many things that can impact your decision, we cover the key features that can help you in the process of selecting the right workplace for you. Location is the most important factor when choosing an office. Choosing a location for your workplace is more than just considering the neighbourhood. The area in which your business is located determines the image you create to new and existing client. Having your business situated at an accessible location is vital as it can contribute to the success or failure of the organisation. Not only would it help build your brand image if it’s in an ideal location, but also stand out for the right reasons. Commuting to work can sometimes be draining and can impact on the productivity and wellbeing of your employees. Finding an office close to transport links can help employees get to work without a hassle, and clients to find you easily. Having local amenities around your workplace is always an added bonus, as staff prefer the convenience of having places to eat nearby. When renting out an office you want to make sure that the size of the premises matches the size of your company. Cramped offices aren’t great for productivity and renting an area too large could mean you would be wasting funds on unwanted space. As a general rule, we recommend having 70 square feet per person, however, it is entirely upon a client and what suits their business depending on the size of desks or storage space required. Flexspace offer a number of different office spaces to choose from and the type of office you choose depends on where your business is in its growth cycle. Start up businesses often choose to opt for coworking spaces as it is the most cost effective option. The next stage up would then be to take a private office for the business to grow and instil its own culture. It pays off to look ahead to the future of your business, and choose an office that can be adapted to accommodate a team that suits your business as it evolves over time. The cost of your office is probably one of the most significant factors to account for in your business. Spending too little could leave you with an office you’re not happy with, but spending too much may leave you struggling to pay the rent. The cost of an office space would need to be strategised effectively as the price tag attached could slow down your business growth. A wise act would be to calculate the net income of the business to determine how much can be spent on the ideal office space. You’d need to determine whether you are prepared to scale up and get a bigger office or if you want to downsize to reduce your expenses. A budget needs to be set, and you would need to make sure you don’t go over that fixed amount. Having a clear budget in mind that fits with your business is crucial to prevent you from committing to space that is not maintainable from a financial point of view. Parking space and the security of your office are common factors that can be overlooked when choosing an office space to rent. It is important to consider the amount of parking you have available included in the office space you’re renting. Is the parking space free or is there a hidden charge on top for that? If there is only limited parking available, where could your employees, customers or clients park? You need to make sure there are enough spaces nearby and at minimum cost so that your team can get to work without the hassle. A secure parking lot would always be an added bonus. The security of the building your business runs from is highly significant. Nobody likes to work in an environment where there are security risks. So one of the aspects to consider when choosing an office space would be to select a safe working location for yourself and your staff. The length of a lease plays a key role in the decision of renting an office. For your first office, you may not want to tie yourself into a long-term commitment. Flexspace offer a minimum of a 6-month agreement to all workplaces across the country. We take into consideration that clients may not want to be stuck with an office if your business folds, sells or outgrows the space. Our aim is to provide flexibility for all types of businesses, believing that the easier we can make it for small to medium businesses, the quicker the chances are for these organisations to grow and become successful. 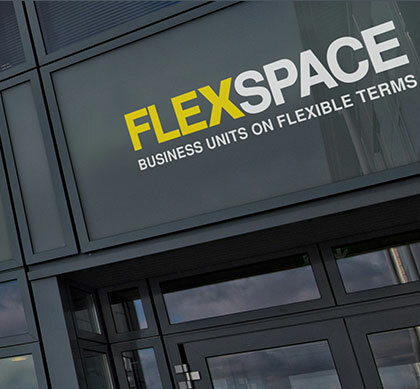 The majority of Flexspace office and workshop units are located off the main motorway networks, offering free parking and security to all clients. We have a wide range of units in different sizes, with prices to suit all. To book a viewing at one of our 59 locations, please call 0800 033 4444 or contact us by email.